Most ukulele players start out by playing C as it’s one of the most basic ukulele chords; it only takes one finger. 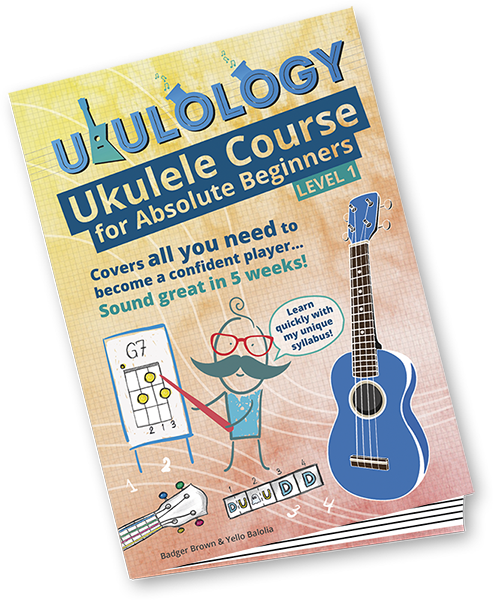 But what basic ukulele chords should you learn next? Well, you could look up other basic ukulele chords that only use one finger, but they might not sound very good with your C chord. It’s better to learn chords that will quickly get you playing songs. 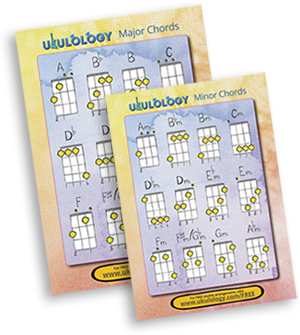 They might not be the easiest chords, but with the chords of C, F and G you’ll be able to play hundreds of rock, pop, folk, country and blues songs! 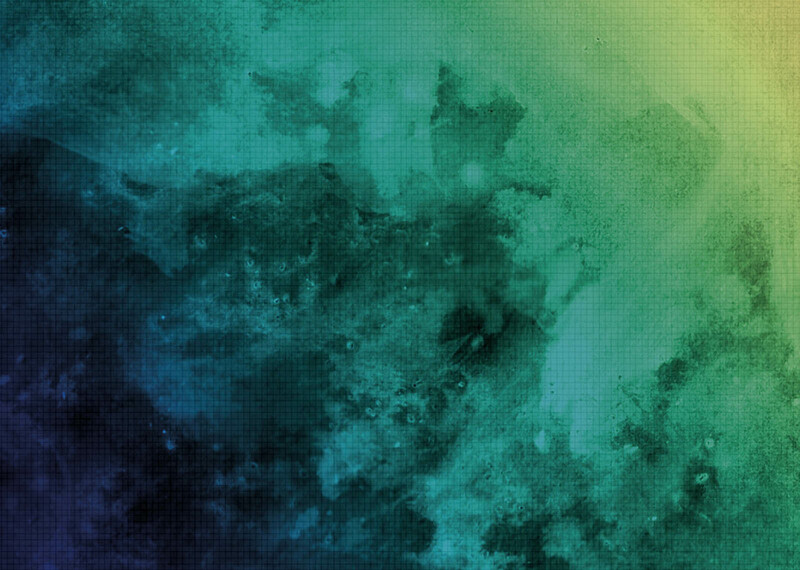 You’ll be playing in the key of C, which means that the C chord will feel like ‘home’, and will probably be the last chord (and quite probably the first chord) of the song. 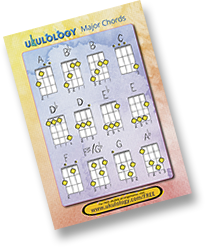 Try playing the chords in this order: C, Am, F, G. It should sound familiar, but don’t stop there, try mixing up the basic ukulele chords and see what other combinations work. You have all you need to play an awful lot of songs! Stay loose and relaxed. Try not to make yourself bend uncomfortably to reach the chords, and if you find it hard, change your hand, arm or sitting position. Did you spot that your second finger is in the same place for both the F and Am chords? If you’re changing between those chords, leave that finger in place for an easier, smoother change.